Materials Marketing can create any architectural stone pieces you desire. Since we own our quarry, we can cut almost any size or shape object to fit your needs. Our goal is to realize your vision, whether it is the perfect fireplace, a personalized bath, a whimsical hearth, a custom gazebo, or a mosaic with your family crest. If you can dream it, we can create it. And if we make it, our design services are free! 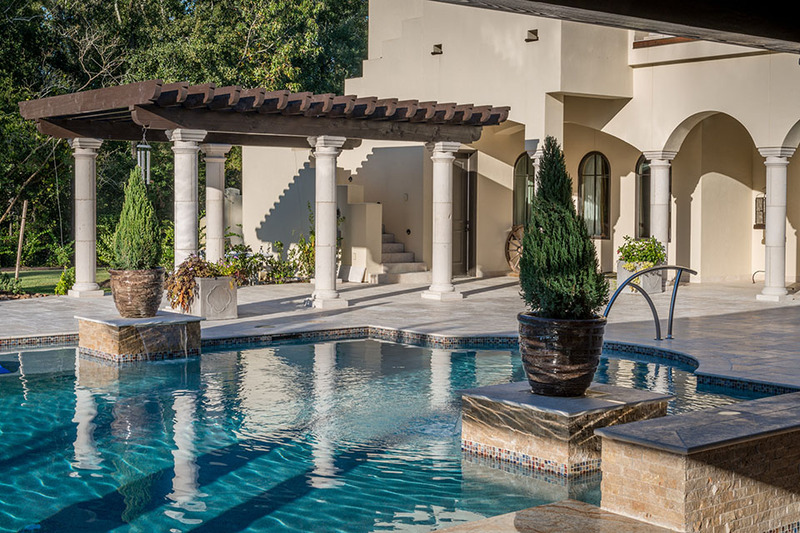 From columns and balustrades to pool decking and door surrounds, Materials Marketing customizes every element for stunning outdoor living spaces. 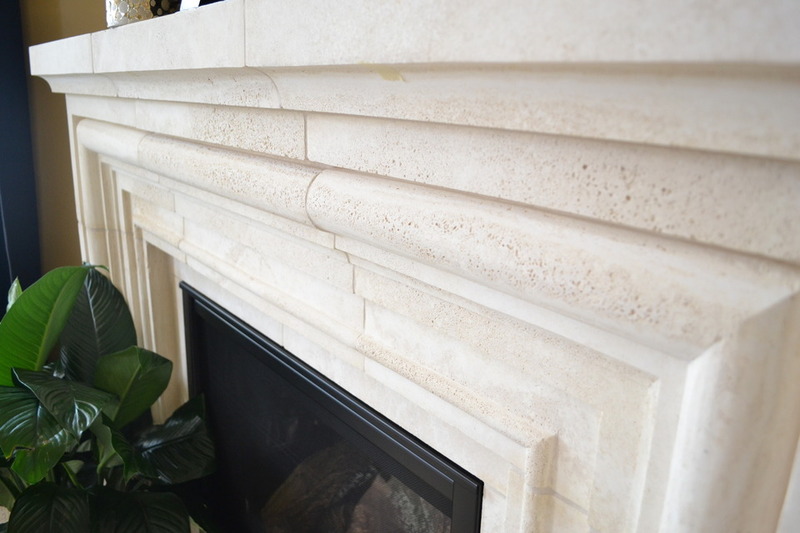 Drawing on decades of experience, Materials Marketing has numerous options in our Fireplace Collection to suit any home. Each fireplace can be customized to your specific dimensions, and we relish executing completely custom designs. These are the elegant finishing touches that truly complement a home. 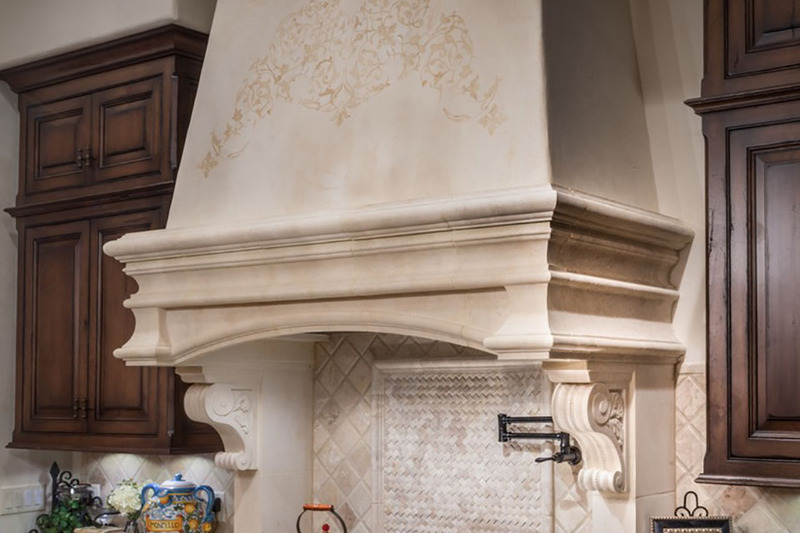 From moldings to kitchen hoods, we can design for every room. Natural stone pool coping or a tranquil fountain can turn your backyard into an oasis. See how our designs can add elegance and scale to your project. Materials Marketing can create any architectural pieces you desire. Since we own our quarry, we can cut almost any size or shape object to fit your needs. Our goal is to realize your vision, whether it is the perfect fireplace, a personalized bath, a whimsical hearth, a custom gazebo, or a mosaic with your family crest. If you can dream it, we can create it. And if we make it, our design services are free! Fill out this form and one of our amazing designers will be in touch to help you find the perfect Architectural Stone for your project.